Click the button below to add the Pomegranate Vinaigrette to your wish list. 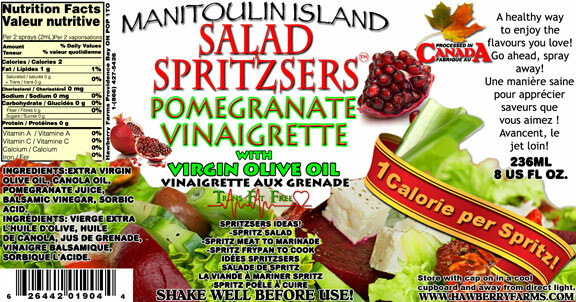 Ingredients: extra virgin olive oil, canola oil, pomegranate juice, balsamic vinegar, sorbic acid. I have used this on a few different things now from salads to steamed veggies even a quick spray on a turkey sandwich. It is a light tasting , tangy/sweet flavour that is different from other dressing spritzs I have tried before. I really enjoy this flavour!